﻿ 2017's #NameTheChalice Results are in! 2017’s #NameTheChalice Results are in! 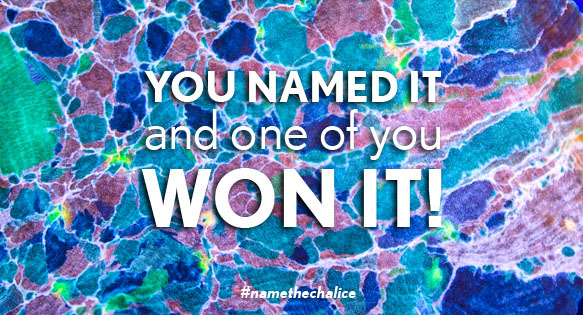 Name The Chalice (#namethechalice) results are in – You Named It and one of you WON IT! We are delighted to announce the winner of the 2017 #NameTheChalice contest, sponsored by Carolina Aquatics and CORAL Magazine. Readers helped generate more than 400 comments on the contest page, representing even more unique entries. Looking at this magnificent coral, it clearly elicits varied reactions and visions across our audience. Entries alluding to mosaics, rainbows, unicorns, psychotics, lightning, famous artists, stained-glass and sea-glass were ubiquitous. Phoenix Fire – “because it rose from the red amber” – submitted by Jesse Shaulis – this one potentially has multiple connections, and more directly speaks to how this chalice first appeared at Carolina Aquatics. Fraggle Rock – “My daughter came up with the name Fraggle Rock, it completely looks like it!”—submitted by “Hollie”—if you somehow missed growing up with Jim Henson’s 1980’s puppet show, time to Google it. Another look at the coral inspiration for this naming contest. Chuck Hamby named it and he won it! Introducing the Carolina Stained Glass Chalice. 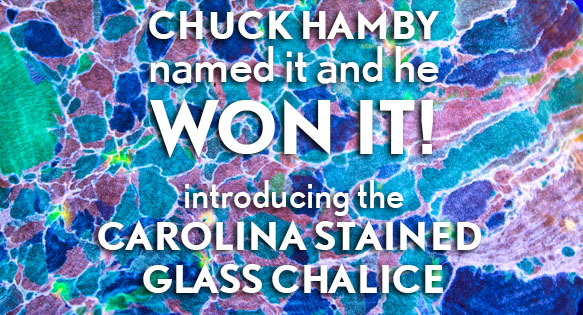 Congratulations to Chuck Hamby for submitting the unique name that was chosen by Carolina Aquatics to represent this stunning coral cultivar in the aquarium trade & hobby. 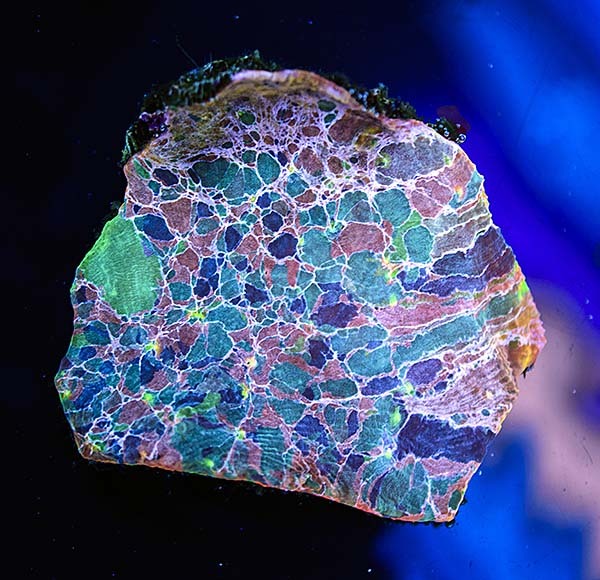 The three runners up are: Fraggle Rock submitted by Hollie Burmester, Jakarta’s Krazy Kaleidoscope Chalice submitted by Mitch Neely, and Mosaic Meteorite Chalice submitted by Nestor Villacampa. Each receives one-year digital subscriptions to CORAL. To all who participated, we thank you. You have created another massive repository of creative names for other future coral cultivars that burst on the scene and ignite our imaginations!